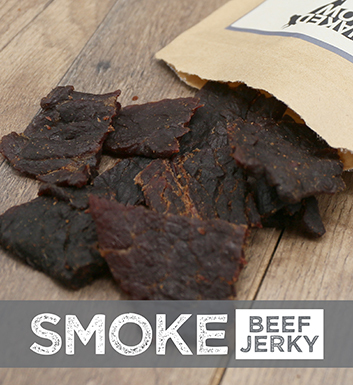 The most basic of our flavors, merging the taste of quality grass fed beef and the smoke that made it jerky. This flavor may seem simple, but the flavor is complex and tasty. We take our basic recipe and add some cayenne, habanero, and even a little ghost chili peppers to make a bold, spicy taste. 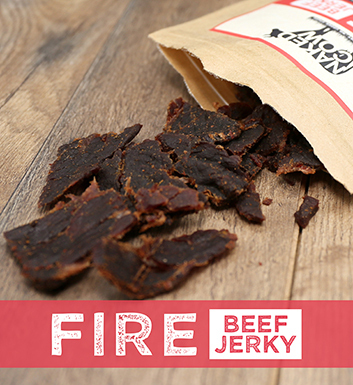 It's grass fed beef jerky that really brings the heat. 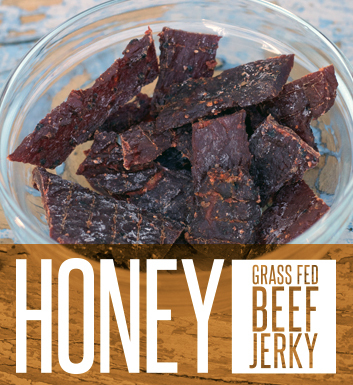 This is the same smoked grass fed beef jerky found in all our products, but is cooked with a fresh coating of honey that sweetens the flavor and compliments the natural spice of the jerky.